Some new research commissioned by mobile financial services company Juvo has concluded operators are wasting loads of cash through prepaid churn. The research was conducted by Strategy Analytics, which is having a busy day. 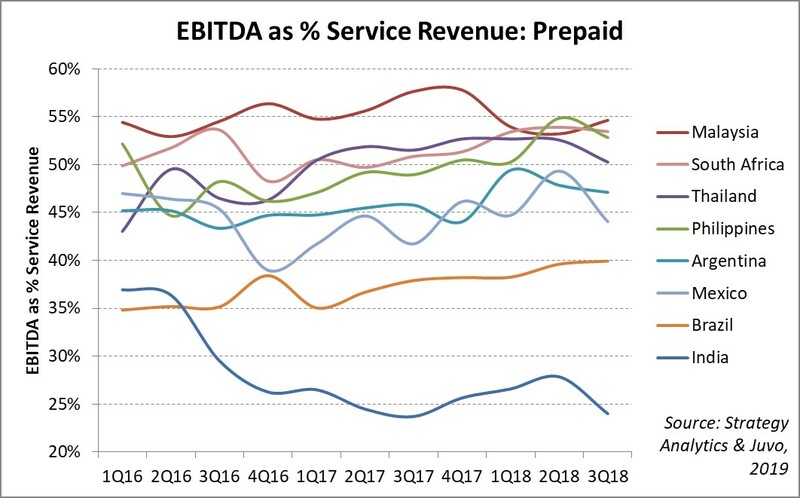 It took a look at eight prepaid-dominant markets: Argentina, Brazil, India, Malaysia, Mexico, the Philippines, South Africa and Thailand; and concluded that in these markets alone, operators wasted $670 million last year replacing lost prepaid subscribers. Otherwise known as PAYG or contract-free, the prepaid market probably gets a bit overlooked in developed markets as there’s nothing operators like more than signing someone up to a nice, fat two year contract. But as well as being a big piece of the action in developed markets, it tends to dominate developing ones. Now, on one level remarking that churn is an issue in a market with no contractual obligation involved seems like a bit of a redundant statement. Of course punters are going to shop around and exhibit minimal loyalty. But the apparent point of Juvo commissioning this study is to show there are still plenty of things that could be done to efficiently reduce this churn. It should also be noted that Juvo, in common with all other companies, doesn’t tend to just commission surveys for a laugh. It contends that what it has to offer can help operators with this prepaid lack of stickiness and has consistently messaged on the matter of prepaid churn. But that said, the findings of this study still have independent merit. Prepaid accounted for 71% (5.7 billion) of global mobile connections and 32% ($265 billion) in service revenues in 2018. In developing economies those numbers move strongly in the direction of prepaid, for example is accounts for 94% of connections and 80% of revenue in Africa. SA also says it’s more profitable than you might think, with EBITDA margins of 40-55% in developing markets (apart from India, where Jio has thrown a spanner in the works). This background is designed to set up the punchline which is, of course, churn. 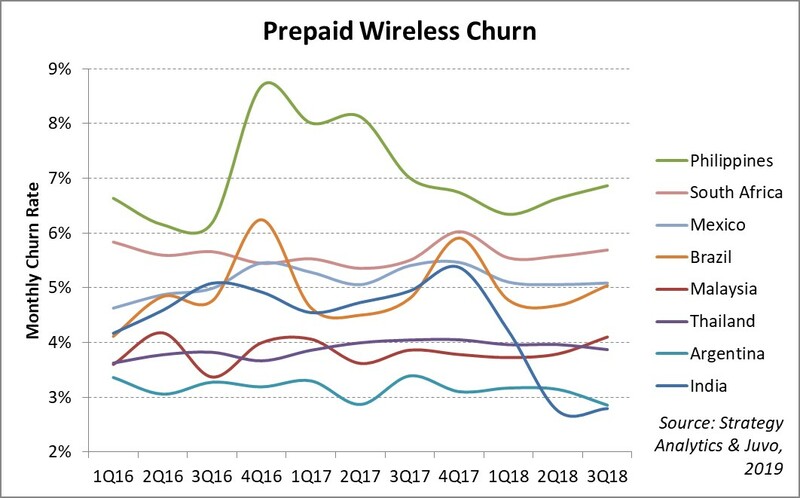 The second chart below shows monthly prepaid churn of 3.1-6.5% across the countries studied. This equates to 37-80% annually meaning that, on average, operators have to totally replace their prepaid subscriber base every couple of years. The report, called ‘Death by a thousand nos’, offers a deeper dive into the prepaid churn issue, as well as some top tips on what to do about it, and can be downloaded from the Juvo website. With a major driver of the postpaid demand – the smartphone market – in significant decline, it seems likely that prepaid will become a bigger deal for all operators. So it’s probably a good idea to start thinking about how to make the most of it.